Home> Resource> Phone/Data Clean> How to Speed Up iPhone XS, XS Max, XR, X, 8/8 Plus? Mobile phone always runs slower and slower after a period of time, so does your new iPhone XS/XS Max/XR/X/8/8 Plus/7/6. Thus, do you want to make your slow iPhone always runs like a brand new? To reach it, you'd better to clean junk files, caches, crash files, browsing history or all temp files on iPhone regularly. Here, we could like to show you some simple ways to optimize and speed up iPhone XS/XS Max/XR/X/8/8 Plus/7/6 efficiently and quickly. Double-click the Home button to bring up all the apps running in the background > Swipe upwards to close them. If your iPhone doesn't have enough storage space, it can run very slowly and even crash from time to time. You can view your iPhone storage by going to Settings > General > iPhone Storage, so as to know which files occupy most of the iPhone storage space. In general, photos are always the biggest occupants on the iPhone. Therefore, deleting some duplicates or photos you don't need can effectively speed up your iPhone. Note: Don't forget to back up your iPhone to your computer before deleting photos and other files from your iPhone. Usually, iOS update will contain some bug fixes, and some of these bugs may be the cause of slow or malfunctioning iPhones. 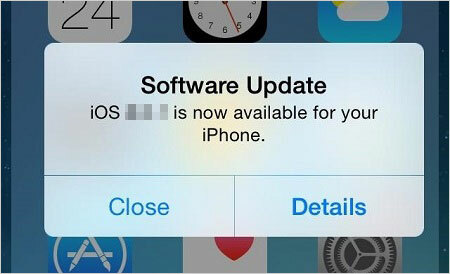 So, when your iPhone prompts you for a software update, don't hesitate to upgrade to the latest iOS version. If your iPhone is still using any iOS version earlier than iOS 12, you can upgrade your device to the latest iOS 12. You can check if iOS is the latest version by visiting Settings > General > Software Update on your iPhone. If your iPhone has an iOS update, please refer to this guide to start upgrading your iPhone to iOS 12. To speed up your iPhone XS/XS Max/X/8/8 Plus/7/6S/6, you can clear your Safari history and website data to have a try. 1. Click Settings in the home page. 2. Locate and tap the Safari app from the Settings window. 3. Choose Clear History and Website Data under the PRIVACY & SECURITY section. 4. A confirmation box will pop up and you should click Clear History and Data to clean your iPhone. In fact, your iPhone is also a tiny computer. And people will habitually turn off their computers when they don't use the computers, but most of us are used to always turning on our iPhone and never shutting it down. In fact, it is beneficial to restart the iPhone occasionally, because it can clear the memory space and fix unruly applications. How to restart the iPhone: Press and hold the "Sleep" button until the Power Off slide appears > Slide and wait for the iPhone to turn off the power > Wait for about 10 seconds > Press and hold the "Sleep" button for about 5 seconds to restart the iPhone. 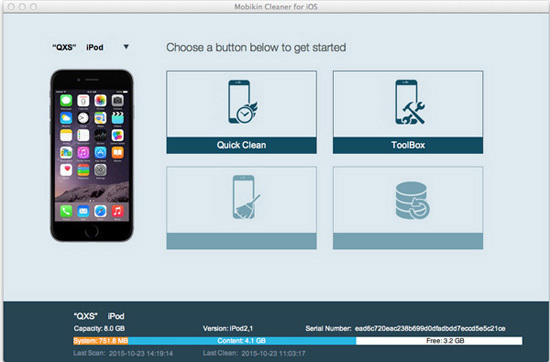 iPhone Cleaner (Mac/Windows) is a data cleaner program, which also compatible with iPhone XS, iPhone XS Max, iPhone XR, iPhone X, iPhone 8/8 Plus, iPhone 7/7 Plus, iPhone 6S/6 or other models of iPhone on the market. It allows users to remove all unnecessary or hidden files from iPhone and speed up your device soon. 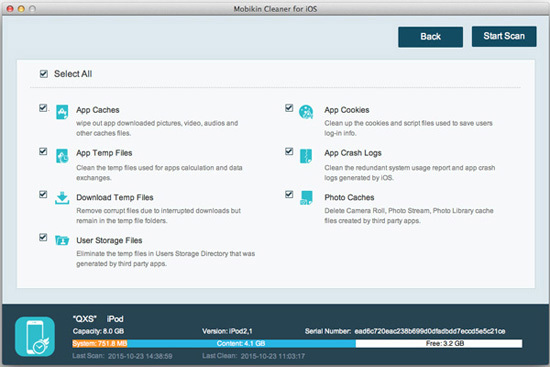 And the iPhone Data Cleaner software also can help you find out crash, junk, cookies or temp files on iPhone and clean them with 1 simple click. Now, just click the below icon to get the free trial version of the powerful iPhone Cleaner software. Then follow the instructions to see how easy the program works on your PC or Mac. Step 1. Connect iPhone to computer with USB cable, then launch the iPhone Cleaner software on your PC or Mac. Step 2. When your iPhone is detected, you can see an interface like below. Directly choose "Quick Clean" button on the main screen. Step 3. Now, you need to tick the files on your iPhone you wish to clean, then click "Start Scan" to begin the scanning process. Step 4. Wait for a little while, all files you've chosen will be found and displayed in the program. You can directly click "Clean" button to remove these files from iPhone. After you tried all of the above methods, have you successfully fixed your aging slow iPhone? If you don't have one, you can also refer to how to delete junk files on iPhone to further remove junk files from your phone. Or do you still have other iPhone cleaning tips to get the best work? Please leave a comment in the comments section and share with us.